Colorful and informative, this in-depth pictorial review and price guide includes over 850 color photographs of cookery pamphlets and advertising memorabilia from the 1860's to the 1950's. 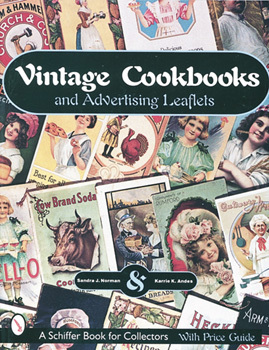 Featured in the book are chapters on brand name foods, wartime era cookbooks, black memorabilia, highly collectible die-cut books, children's books, and more. If you've overlooked advertising cookbooks in the past, you'll certainly take a closer look now!